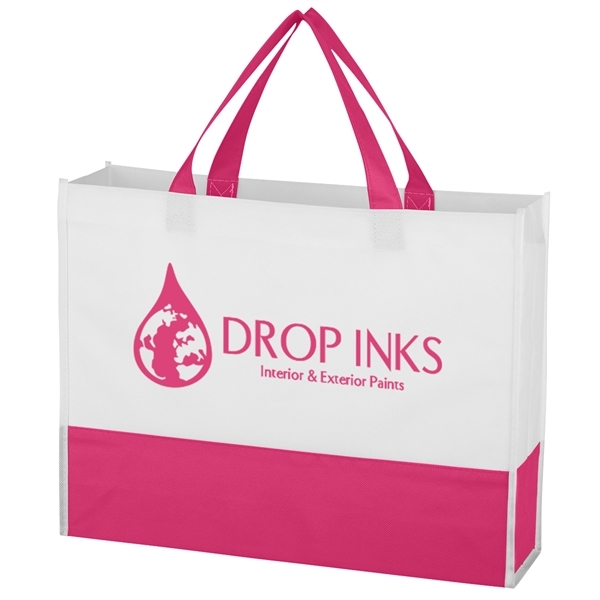 Imprint Method: UNIMPRINTED - Free up your hands to greet potential and new clients when you carry this Non-Woven Prism Tote Bag with you to trade shows, conferences and other marketing events! Made of 70 gram non-woven, coated, water-resistant polypropylene, this bag is recyclable and reusable. It features a 3 1/2" gusset along with 13" handles for your carrying convenience. It's easy to keep looking good when you spot clean any blemishes and let it air dry. Add it to your promotional package right away! Size: 15 " x 11 1/2 " x 3 1/2 "